The Kubota 2-in-1 Hammer Screwdriver Tool Kit is made to get the job done. This multi-tool features a comfort handle, superior metal construction and handy magnetic nail set. The Milwaukee 8-in-1 Compact Ratcheting Multi-Bit Driver delivers versatile performance in a compact design. An all-metal ratchet provides users with 2X faster driving in high-torque applications without sacrificing durability or control. Its interchangeable power groove bits are power tool compatible providing users with maximum job site versatility. The multi-bit screwdriver also has wrench-ready hex shanks giving users additional leverage. The interchangeable bits are precision machined and chrome-plated, providing marine-grade rust protection and reduced wear providing users with the best job site durability. The compact screwdriver features magnetic bit retention giving users consistent driving performance. The Milwaukee 8-in-1 Compact Ratcheting Multi-Bit Driver is designed for the job site and includes Milwaukee's Limited Lifetime Warranty. 2-in-1 Hammer and Screwdriver The Kubota 2-in-1 Hammer Screwdriver Tool Kit is made to get the job done. 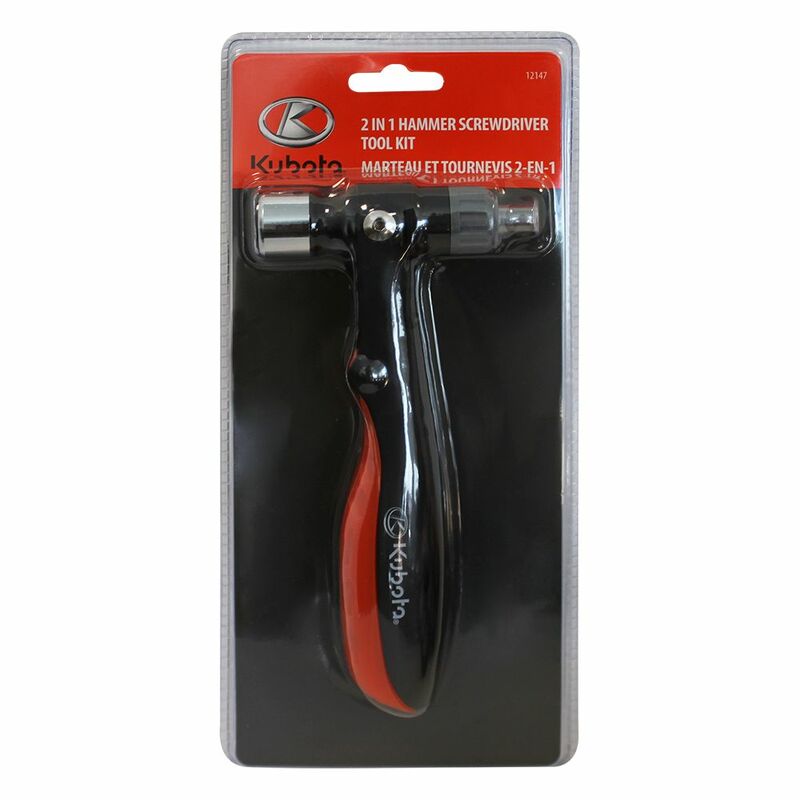 This multi-tool features a comfort handle, superior metal construction and handy magnetic nail set.